The National Lacrosse League announced Under Armour as the league’s new exclusive supplier of performance apparel, footwear & equipment through the 2016 season. NLL players will proudly compete in the new Under Armour apparel and equipment when the 2014 season begins on December 28. Under Armour will provide NLL athletes with state-of-the-art performance training apparel, baselayer and footwear including the UA Micro G® Gridiron training shoes. 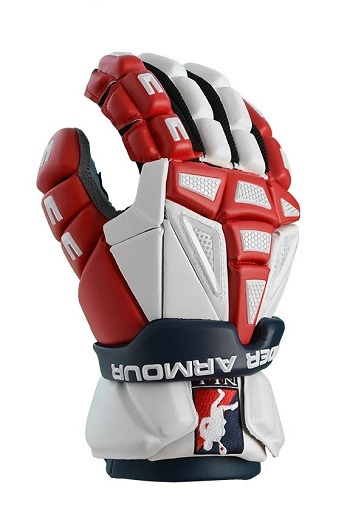 Additionally, players will be some of the first to compete with custom Under Armour Charge Gloves and new Under Armour Charge 2 lacrosse heads. Under Armour® (NYSE: UA) is a leading developer, marketer, and distributor of branded performance apparel, footwear, and accessories. The brand's moisture-wicking synthetic fabrications are engineered in many different designs and styles for wear in nearly every climate to provide a performance alternative to traditional natural fiber products. The company's products are sold worldwide and worn by athletes at all levels, from youth to professional, on playing fields around the globe. The Under Armour global headquarters is in Baltimore, Maryland. For further information, please visit the company's website at www.UA.com.